WHY PARTNERSHIP & NOT MEMBERSHIP? In today’s society, much is made of membership of social clubs, country clubs, gun clubs, and the like. Those clubs work when members pay their dues in order to receive certain goods and/or services. The American church is close to replicating this arrangement by providing goods (sermons, prayers, etc.) and services (good children’s programs, youth groups, etc.) in exchange for a faithful tithe. While it is not explicit, the American church has sometimes toed the same line that is bound to kill her: consumerism. Because this mentality is rampant inside and outside of the church, we are pursuing the word “partnership” because it better communicates, in this context, the biblical idea that we all belong to one another and are therefore partners in ministry. We believe that we are all members of One Body, the Church universal (Rom 12.4-5; Eph 4.4-6), and yet have the distinct privilege of partnering with a local family of believers, called a local church. 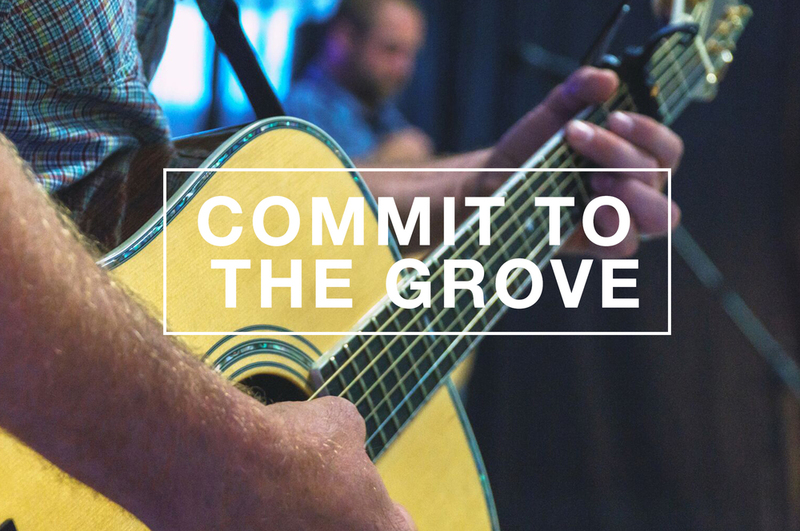 At The Grove Church, we desire to live as family, partnering together with God and one another to renew all things in Christ Jesus (Philippians 1.3-5, 27-29). Several times a year we host Partnership Dinners where anyone who is interested in knowing more about The Grove, what drives us, or how they can discover their place both on Sundays and in our Neighborhood Groups. These classes are generally four hours on a Sunday afternoon and include Rudy's BBQ. Childcare is provided by you and we reimburse you for whatever you need at the end of the night. These are a great place to get to know the ethos of The Grove, one another, and what God is doing in our region. The Gospel accounts of Jesus' life tell us that Jesus Himself was baptized at the beginning of His ministry (Matthew 3.13-16). It would only be natural for Him to command all believers to follow Him in baptism at the end of His ministry (Matthew 28.19-20). We believe that the sacrament of baptism should be observed by believers in Jesus as a way to express their faith publicly to their church family. At The Grove, we practice baptism by immersion; in other words, we will dunk you all the way into the water only after you have confessed Jesus as Lord over your life and born fruit unto repentance (Matthew 3.8). The final step in becoming a Partner with The Grove Church comes when you sit down with the nearest Neighborhood Group leader to share your story, align with the mission and vision of The Grove, and officially declare your desire to become apart of the story that God is writing in The Grove. It is critical that you intentionally make the time to connect with the shepherding leaders of The Grove so that you can not only know them, but be known by them. These are the people that will help lead you into maturity and multiplication.